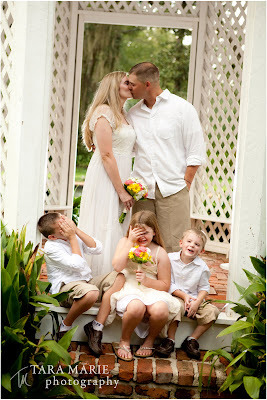 Tara Marie Photography: Cynthia and Justin- [re]Married! Of all the weddings I've done, last Thursday night's small wedding may have been the most sweet one. I don't know their entire story, but Cynthia and Justin, along with their three children Blake (a future photographer), Tatum (a beautiful little girl) and Tristan (a hyper kindergardener boy) and a few relatives, gathered at Rosedown Gardens in St Francisville for a small RE-MARRYING ceremony! 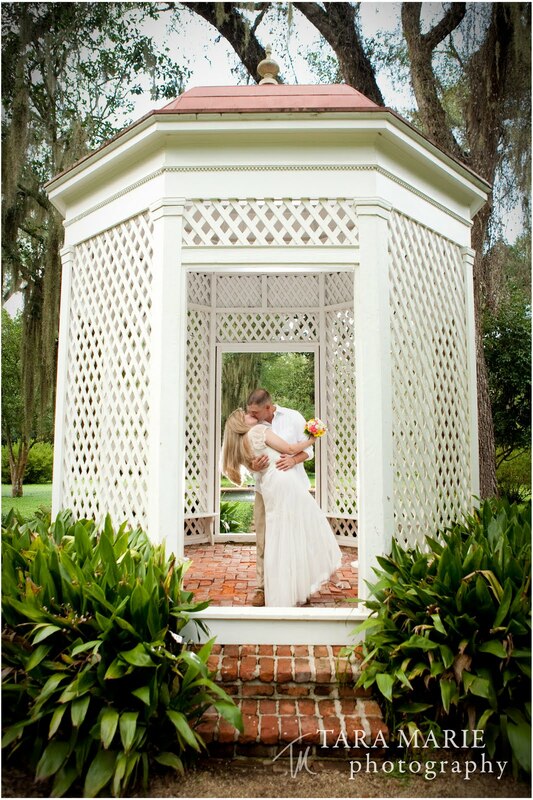 Cynthia wore a vintage 1920's-30's dress that I loved, and it fit the garden gazebo wedding well. A dinner reception at the Carriage House restaurant in St Francisville (just beside the Myrtles Restaurant) followed. Speaking of the Carriage House, if you haven't eaten there, you're missing out. They offer a menu of authentic cajun fine dining with a small intimate but classy setting. Next on the blog lineup- Photography tip 3, and a way to win free iTunes!